Smartphones just aren’t for everybody. Nuki Fob is! The Nuki Fob is compatible with every Nuki Smart Lock and does not require a Nuki Bridge Wifi connection. Access to your Smart Lock can easily be granted or removed individually on your Nuki app for any Nuki Fob. 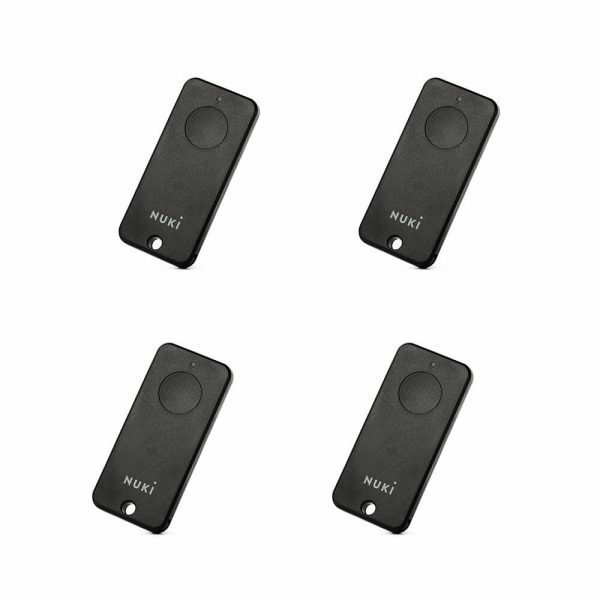 Up to 100 Nuki Fobs can be paired with one Nuki Smart Lock. One Nuki Fob can be authorised for up to 100 Smart Locks. If a Nuki Fob gets lost, access permissions can easily and quickly be deleted using the Nuki app.